Arizona Town Hall - #105 "Arizona's Economy"
As Arizona pulls itself out of the deepest recession that it has faced since the Great Depression, this 105th Arizona Town Hall convened to examine Arizona's economy. In Arizona Town Hall's fifty-two year history, this is the eleventh time citizens from across the state have come together to reflect on the current state of Arizona's economy and how best to shape its future. Read the final recommendations from this Town Hall. 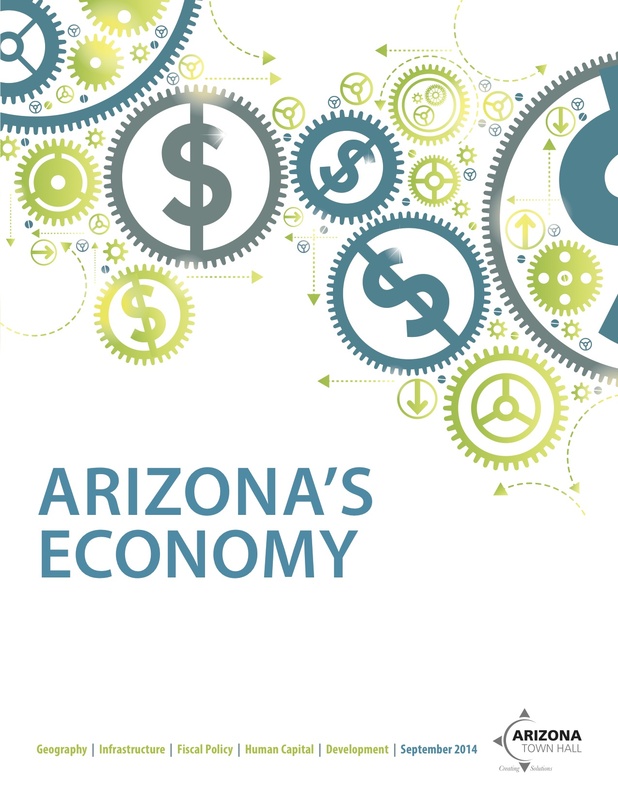 Download the full Final Report for "Arizona's Economy." Monday's breakfast program was a panel presentation: "Setting the Stage - Key Facts and Input from Distinct Arizona Communities," which included input from discussions at the Future Leaders Town Hall, Pinal County, Yuma County and Background Report prepared by ASU. You can find summaries of the Pinal County, Yuma County and Future Leaders Town Halls in the Full Agenda. Monday's lunch speaker on the topic of "How Arizona Can Capitalize on Global Economic Trends" was Dr. James A. (Jim) Crupi, President and founder of Strategic Leadership Solutions, Inc.
Monday's dinner presentation "Mapping Arizona's Future: Possibilities, Realities, and Risks" was made by Mary Murphy, an officer at The Pew Charitable Trusts, who serves as a principal analyst on Pew's state and local fiscal health initiatives. Tuesday's lunch program featured a presentation by the Board Members of Arizona Town Hall. In addition, there was special entertainment by the Northern Arizona University School of Music Students. Tuesday evening's program featured recognition of the student participants. Arizona Horizon show which aired November 13, 2014 featured 105th Town Hall participants Rebecca Timmer and Karrin Taylor. Arizona Town Hall plotting the path for prosperity, Tara Jackson and Harvey Skoog, The Daily Courier, February 23, 2015. My View: Education is an economic imperative, Rebecca Timmer, Phoenix Business Journal, February 20, 2015. Arizona Town Hall event focuses on economy, Yvonne Gonzalez, Verde Independent, February 28, 2015. Education, workforce development lead Arizona Town Hall priorities, Lisa Irish, Arizona Education News Service, November 10, 2014. Tara Jackson and Harvey Skoog, Arizona Town Hall plotting the path for prosperity,in the February 23, 2015 issue of The Courier.